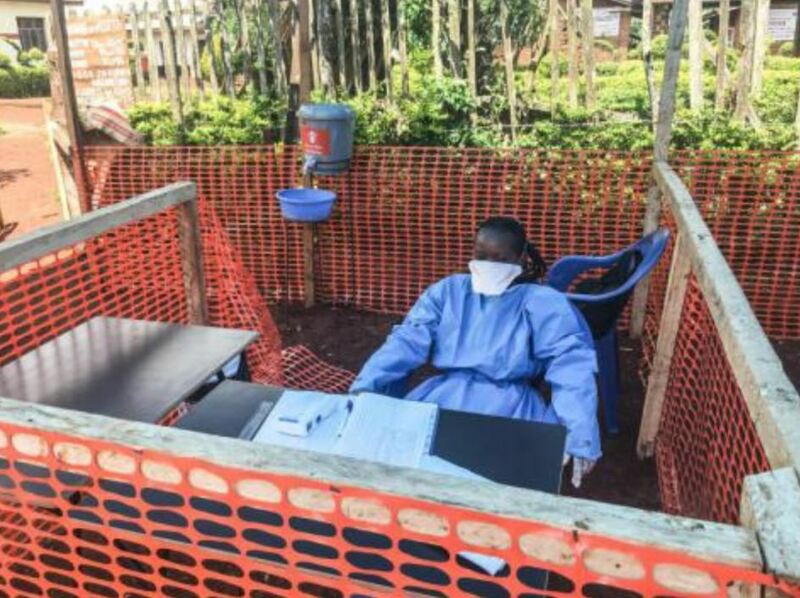 Almost one hundred children in the Democratic Republic of Congo (DRC) have lost their lives to the Ebola virus since the outbreak started in August last year. Save the Children warns the death toll could be set to rise as the number of new cases spiked in January, from around 20 a week to more than 40. Of the 97 children who lost their lives, 65 were younger than five years old. The DRC is battling the second largest Ebola-outbreak in history. Over the last six months, at least 785[i] people were believed to be infected with the virus (731 confirmed cases), of which 484 people died – 60 percent of them women. In the last three weeks of January alone, there were some 120 new cases. The insecurity and violence in the east of the country combined with the fear and suspicion in some communities, make it difficult to contain the outbreak. To curb the virus, Save the Children deployed its Emergency Health Unit to train local health workers. The organization also raises awareness of the virus, including in health centres—42 of which are close to Goma, the largest town in the region, to help stop the virus from reaching this large urban area. It also sends out teams to raise awareness in rural communities—including training community leaders to recognize symptoms and support community-based surveillance—and to help trace people that might have come into contact with the virus. So far, Save the Children has reached almost 400,000 people in the DRC with information on how to recognize the symptoms of Ebola and how to prevent it. As there remains a threat of cases spreading across the border to Uganda, where refugees from the DRC continue to arrive daily, Save the Children has trained more than 1,000 health workers, volunteers, teachers, village health teams and laboratory staff in Uganda on key steps to preventing and mitigating the spread.